President Trump's new executive order on climate change is a big turn in the wrong direction. Read our summary here. Please join us in taking action! First, click HERE to ask your Congressional Representative to join the bipartisan Climate Solutions Caucus. The Climate Solutions Caucus is a bipartisan group in the U.S. House of Representatives which will explore policy options that address the impacts, causes, and challenges of climate change. The caucus was founded in February 2016 by two representatives from Florida, Rep. Carlos Curbelo (R-FL) and Rep. Ted Deutch (D-FL), who serve as co-chairs of the caucus. Florida is at the highest risk for flooding in the United States due to rising sea levels caused by global warming. Second, call your Senators to ask them to speak out in support of the Clean Power Plan and taking action to address climate change. Dial 877-429-0678 to reach the U.S. Capitol switchboard. When prompted, press or say "One" for the Senate and say the name of your state or enter your zip code, to be connected to your senator's office. When a staff person answers, ask to leave a message for the senator. Call twice to leave a message for both of your senators. Third, join us at the People’s Climate March in Washington, D.C. on April 29. We invite you to march with us, help amplify the Catholic voice at the march, and lift up the teachings of the Catholic Church on caring for creation and those who are most vulnerable to the impacts of climate change. We will meet at 9 a.m. Mass at St. Dominic Catholic Church, 630 E St SW, Washington, D.C. 20024. Feel free to share the event page for the Mass on Facebook with others who might be interested. All are welcome! If you have any questions or concerns, email us at ogc@maryknoll.org or call (202) 832-1780. Print our sign (pictured) and carry it with you to the march! For information about more faith-based events related to the march, go to https://faith.peoplesclimate.org/. Join the Catholic Climate Covenant’s free lobby training on the morning of April 28 to learn how to meet with your members of Congress and ask them to work together to act on climate change. Join Catholics for a dinner potluck at the Stuart Center on the evening of April 28, followed by a film and night prayers around the fire pit. The Stuart Center offers affordable accommodations, too. RSVP for the potluck and learn more about room rentals. Join or organize a sister march in your local area. We hope to see you at the march this April! 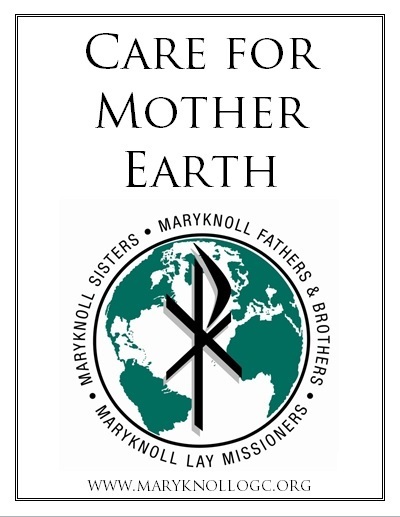 Feel free to contact us with questions or concerns at ogc@maryknoll.org or (202) 832-1780.